Northrop Grumman says it is continuing to work through plans to become an anchor tenant at the new aerotropolis planned for Western Sydney Airport. In May 2017 Northrop Grumman Australia announced it would invest $50 million to establish an electronic systems maintenance and sustainment centre at the forthcoming Western Sydney Aerotropolis, which will be built adjacent to the new airport at Badgerys Creek. 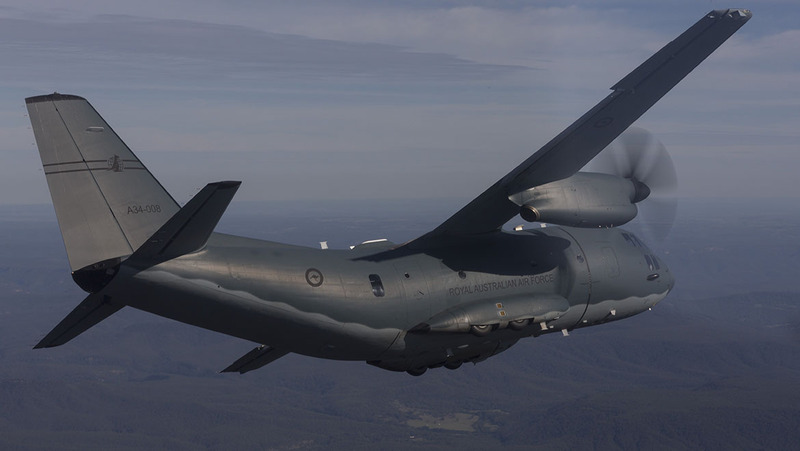 But with Western Sydney Airport not due to become operational until 2026, Northrop Grumman has in the meantime set up its Electronic Sustainment Centre (ESC) at RAAF Base Richmond. Intended to support a range of advanced electronic systems such as communications systems, electronic warfare equipment and targeting pods, the ESC initially is supporting the Northrop Grumman-built APN-241 tactical transport radar fitted to the RAAF’s C-130J Hercules and C-27J Spartan airlifters. “Richmond was easy for us, because we already have a presence there. We have facilities, buildings and a workforce, and so it was very easy to expand our existing operation when we had to do it very rapidly,” Andrew Pryor, director of business development for Northrop Grumman Australia’s Technology Services business, unit told Australian media earlier this month. A ceremony to mark the ESC achieving an initial operating capability to support the APN-241 at Richmond is planned for late February, Pryor said, while planning for what eventually takes shape at the Western Sydney Aerotropolis is still in its “early days”. VIDEO – A NSW Government corporate video detailing the planned Western Sydney Airport Aerotropolis. Northrop Grumman Australia’s director of strategy Mike Gallagher said that as Richmond is a secure military base, the company can undertake work there that it might not be able to from a facility at the Western Sydney Aerotropolis. “Is the ESC itself going to be an integral part of moving to the aerotropolis, maybe, maybe not,” Gallagher said. “The value that we have at RAAF Richmond is the security aspect, so that allows us an opportunity to do other work that we may not be able to do in an aerotropolis environment, so horses for courses,” he said. Macquarie Park in Sydney could be a model for the aerotroplis, Gallagher said.